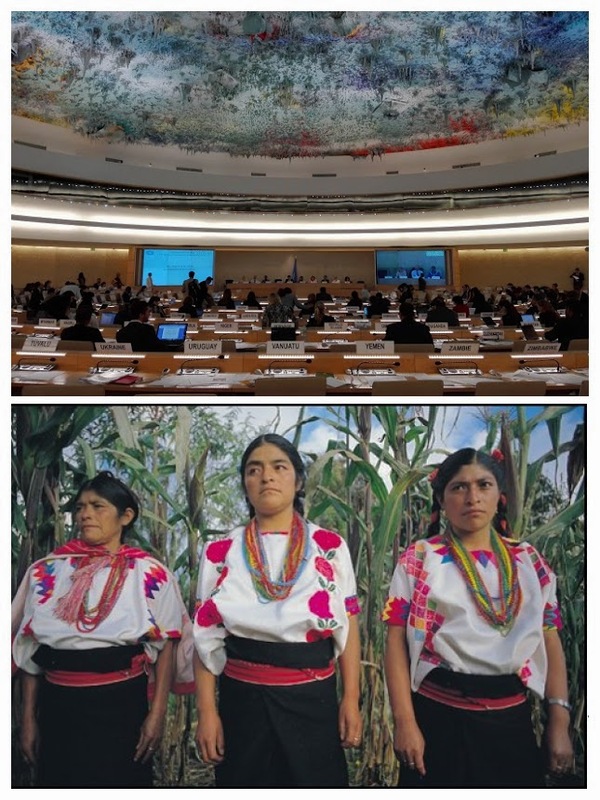 On the 20th of September 2016, the United Nations in Geneva held its annual half-day discussion on the rights of indigenous peoples, the theme of which was: the causes and consequences of violence against indigenous women and girls, including those with disabilities. The panel was chaired by H.E. Mr. Choi Kyong-lim, President of the Human Rights Council (HRC). Mr. Adam Abdelmoula, Director of the HRC and Treaty Mechanisms Division, Office of the United Nations High Commissioner for Human Rights (OHCHR) gave the opening statement. Mr. Abdelmoula highlighted the need to raise the status of indigenous woman as equal and valuable partners; to acknowledge historical abuses against indigenous communities and end this people’s vulnerability; ensure that the justice system is responsive to the needs of indigenous peoples; break cycles of violence, among other suggestions. His statement was followed by remarks of the moderator of the panel, Mr. Albert Kwokwo Barume, Chair of the Expert Mechanism on the Rights of Indigenous People. Mr. Barume thanked the HRC for the panel and particularly for conscientiously making the event accessible to persons with disabilities. This was achieved by providing live sign-language interpretation as well as displaying subtitles in English during the entire discussion. The first panelist, Ms. Aili Keskitalo, President of the Sami Parliament of Norway, spoke to the audience of invisibility of women in her Sami community, due to a long history of colonization and assimilation processes. The next panelist was Ms. Olga Montúfar Contreras, Director of Fundación Paso a Paso in Mexico, who stressed the importance of educating women (especially those with disabilities) about their rights, as ignorance did not make it possible for them to recognize violations against them. The third panelist was Ms. Hannah McGlade, OHCHR Senior Indigenous Fellow and Senior Indigenous Research Fellow at Curtin University in Australia, who spoke with concern about the lack of responsiveness of the criminal justice system to episodes of violence against Aboriginal women. Next was Ms. Victoria Tauli-Corpuz from the Philippines and also the UN Special Rapporteur on the rights of indigenous peoples. She encouraged States to recognize that the issues affecting indigenous women are multi-layered and to develop mechanisms for women to pursue justice if their own indigenous communities deny them this. When the floor was opened to interventions, all States recognized the fact that indigenous women and girls were disproportionally affected by domestic violence, marginalization, harmful practices such as female genital mutilation (FGM), poverty, etc. Ecuador mentioned its strong efforts to foster the participation of indigenous women in policy formation and political life, celebrating its affirmative action plan to employ disabled indigenous women in the public sector. The International Development Law Organization urged States to sensitize justice systems in regards to the rights of indigenous women and girls. 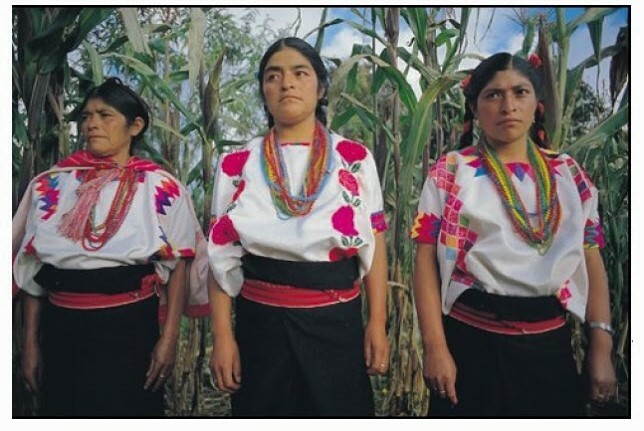 Mexico lauded the efforts of its National Commission for the Development of Indigenous Peoples. Columbia pointed out the need to prevent re-victimization of indigenous women when national and indigenous forms of justice find themselves to be in conflict. The Republic of Congo was pleased to share its new laws that guarantee men and women the same rights as well as the creation of the Ministry of Justice and Human Rights, which focused its efforts on protecting the human rights of indigenous peoples. The Council of Europe reminded those present that the Istanbul Convention requested the criminalization of all forms of violence against women. Similarly, in her panelist response, Ms. Keskitalo suggested holding States accountable to the documents they have signed on this subject, for instance the UN Declaration on the Rights of Indigenous Peoples or the 2014 Outcome Document of the World Conference on Indigenous Peoples. NGOs, such as the Indian Law Resource Center and Graduate Women International (GWI) reiterated this call for States to ratify and uphold these declarations and conventions. In their concluding remarks, the panelists encouraged States to increase national funding to address the problems of women and girls with disabilities, to ratify international documents and to allow the participation of indigenous women in the criminal justice system. 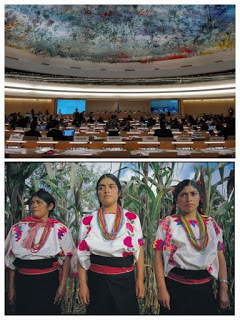 The Special Rapporteur on the rights of indigenous peoples, Ms. Tauli-Corpuz, called for a global “femicide watch” to begin the efforts to officially document the number of women, and especially indigenous women, being killed around the world. Mr. Barume brought the panel discussion to an end with five points. First, the data regarding the prevalence of violence against indigenous women was alarming; therefore there was a great need for disaggregated data. Second, it was important to keep the needs of indigenous women and girls with disabilities at the forefront of State concerns, as this population carried even more burdens than the average woman. Third, the problem of inaccessibility to justice is unacceptable. Fourth, the violence expressed against this vulnerable population is a result of problems and stressors affecting indigenous peoples, such as the fight for their right to land, to their resources and to preserve their culture. Fifth, harmful cultural practices amongst indigenous groups exacerbate the sufferings of women and girls living in these communities. The general consensus was that this issue needs much greater global attention. After thanking the panelists and participants, H.E. Mr. Choi declared the end of the panel discussion.